I decided I wanted to take a trip with my brother who lives in Switzerland to spend some time with him but to also do something that would help us both improve our language skills and our CVs (as we are still not directors yet !). My Spanish is actually pretty good as I use it every day at work and as a native Italian speaker ita��s quite easy for me, but I know there is always room for improvement and my brother was keen to get his Spanish to a decent level. We wanted to go somewhere hot, somewhere we hadna��t been before and somewhere with a strong culture and history. Given the changes that have been happening in Cuba in recent years we decide to spend two weeks in a place that offers all these things but may experience drastic changes in the not too distant future. We decided we wanted to see Cuba while it was still Cuba. We booked one week in Havana and one week in Trinidad through Cactus, the company I work for. I didna��t really know what to expect but I was definitely looking forward to dancing some salsa in the streets and having a mojito or ten on the beach. We arrived in Havana late at night but our host family was there to meet us at the meeting point in town and take us to their home. They were very happy to meet us and gave us three kisses. Each. The set up for the two weeks was that we stayed with host families, we ate breakfast and dinner with them, chatted with them, practised our Spanish with them (with the help of some high quality Cuban spiced rum) and our tutor came to the house to give us our lessons for 4 hours every day Monday to Friday. I have to say this was quite intense and really improved my Spanish. Even though I am much better than my brother he also improved a lot. The accommodation was basic but comfortable and it was an amazing experience to be able to see how Cubans really live and to hear their opinions and stories about communism and Castro. This is something we would never have experienced as a tourist staying in one of the many 5* hotels that line the Caribbean beaches in Varadero. 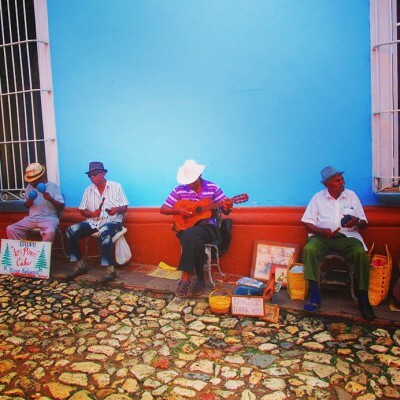 Ita��s important to note that generally Cubans do not have access to the internet a�� so if you are usually attached to your phone this is a great chance to put it in your suitcase, leave it there, and really enjoy your trip without social media distractions. You can upload all your amazing photos onto to instagram when you get home. 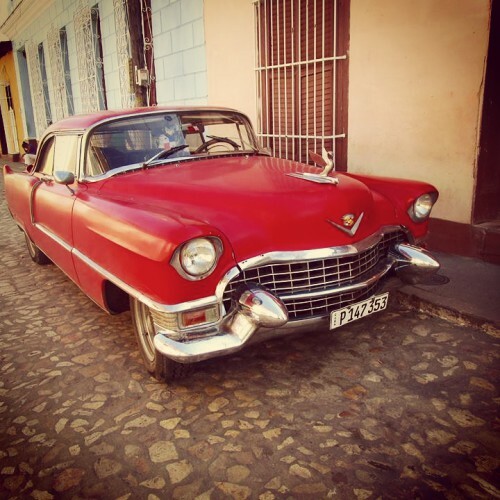 We found travelling around Cuba really easy. The taxi drivers can be a bit dodgy but if you dona��t mind a�?negotiatinga�� on the price you can get around by taxi without too much expense. We went to so many amazing places ita��s difficult to say what the best experience was. 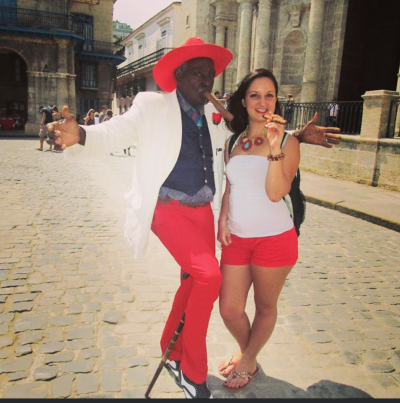 We really enjoyed La Habana Vieja, the down-town full of local bars and restaurants situated on each of the many plazas. 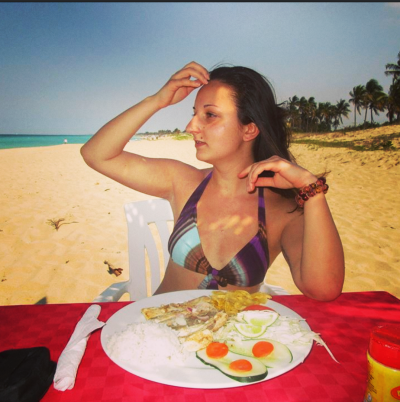 We also enjoyed Trinidad and the beaches of Varadero, just 10 minutes from Trinidad centre. We went on a valley walk in The ViA�ales where we saw the tobacco farms and sugar cane camps. 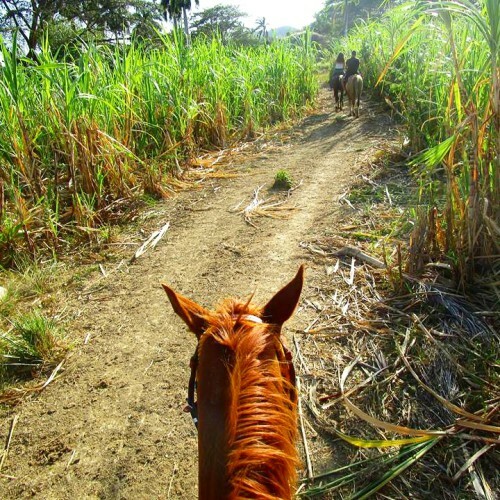 And the best part was horse riding to the waterfalls of Valle de Los Ingenios. Seeing people with so little having so much fun most of time was an extremely eye-opening experience, particularly given that I come from a capitalist way of life. The people are so generous and helpful, and the country feels so safe a�� Cubans give so much to strangers when they have nothing themselves. Materially Western Europeans are so rich but we can also be cynical and selfish. Now is the time to go and experience this wonderful country. Go before it changes. Go before ita��s too late.